The Careers Expo is great fun. There are happy, smiling people. There are glossy brochures and beautiful displays. People on the stands are friendly and helpful. Of course they are! They are professionals. You aren’t going to buy something from someone who isn’t nice. The Expos are a prime marketing place for all education and training organisation. They spend a lot of money on their displays and get their best, nicest, most professional sales people to tell you about their courses. Many visitors sign up for thousands of dollars worth of training based on a noisy 5 minute discussion in the crowded Convention Centre. Know that the biggest displays, those closest to the entry doors, and the most professional looking displays have spent the most money on trying to sell to you. Check out the list of Exhibitors. If you are interested in having a Gap Year check out which exhibitors will have information that will interest you. If you are interested in Trades, check out the ones that you must visit. Make the decision about which ones to visit before you get sucked in by the bright lights and music! Figure out three questions to ask exhibitor one before you meet with them. Make sure one of your questions is about price if they are selling courses. Don’t be surprised if they don’t want to answer you about. You may get answers like “It depends on…… ” and “We have a great loan to cover your costs”. Some exhibitors like Defence Force Recruiting and the Construction Training Fund aren’t actually selling courses. How long the course will take. What are the entry requirements. For contacts with current students. What successful students are like. Do they have a mid year intake. Go to see your career advisor to discuss what you have discovered. If you don’t know a career advisor go to a Jobs and Skills Centre and talk with them. Its FREE. The Jobs and Skills Centres are based in TAFE colleges but they also have information about unis. Come to see me. I work for myself so will charge for my insanely great careers advice! Please send me a complimentary copy of your insanely great In Focus Careers Newsletter. Thanks for the latest e-mail Bev, and for all the information and inspiring ideas over the year. Since I have become a part of the (In Focus Careers) network I have grown in knowledge and motivation to really make a difference for our young people. Categories: 21st Century Careers, Career Advice, Expo, Uni and TAFE, Vocational Education and Training | Tags: Career Advice, Careers Expo, TAFE, Uni | Permalink. Western Australia probably grows more grain than… practically anyone….. and there are jobs in everything from international marketing to scientific research to fencing. Western Australia is a world leader in grain agriculture. There are scholarships and many training pathways into the industry. Last year, we attended 30 different school and university events and look forward to building on the momentum and meeting even more students and job seekers. Be sure to let us know if you hear of any events that you’d love to see us at! Contact Kayla Evans to invite her to your school career expo. If you would like to reach thousands of Western Australian school students with information about careers in your industry, let me know. 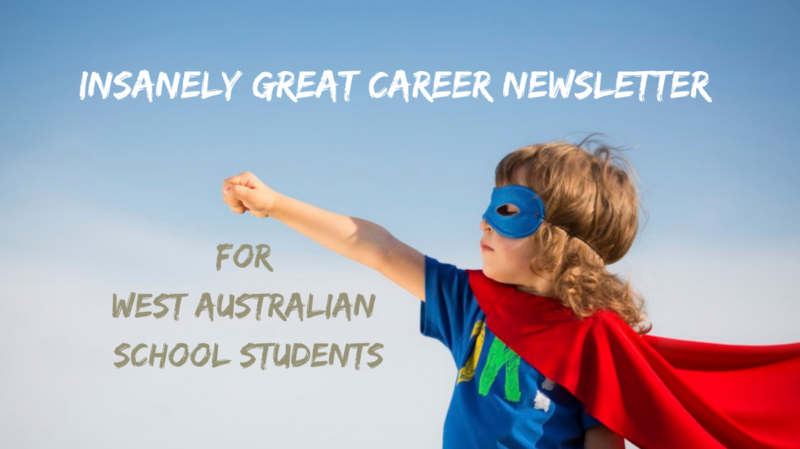 I will share your information in the monthly In Focus Careers Newsletter that goes out to over 100 West Australian high schools. If you would like to see a complimentary copy of the newsletter please let me know. Please send me a complimentary copy of the In Focus Careers newsletter. Categories: Career Teachers, Career Teachers Nail It, Careers Newsletter, Expo, Scholarships, STEM, Teaching Resources and Research | Tags: Agriculture, School expo, Science | Permalink.